Fuzzy sets and soft sets are two different soft computing models for representing vagueness and uncertainty. 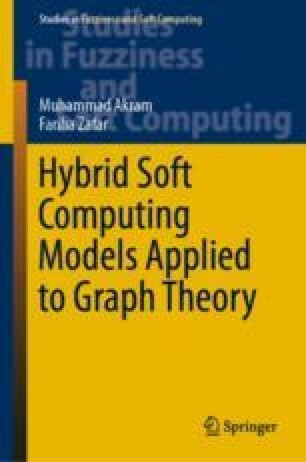 In this chapter, we present these soft computing models in a combination applied to graphs. We discuss certain notions, including fuzzy soft graphs, strong fuzzy soft graphs, complete fuzzy soft graphs, regular fuzzy soft graphs and irregular fuzzy soft graphs. We describe the notions of fuzzy soft trees, fuzzy soft cycles, fuzzy soft bridges, fuzzy soft cutnodes and investigate some of their fundamental properties. We also discuss some types of arcs in fuzzy soft graphs. We describe applications of fuzzy soft graphs in social network and road network. This chapter is due to [28, 30, 48].